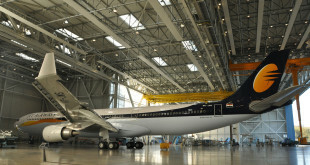 Jet Airways' Boeing 737-800 VT-JBD. Copyright photo used with permission. Do not reproduce. 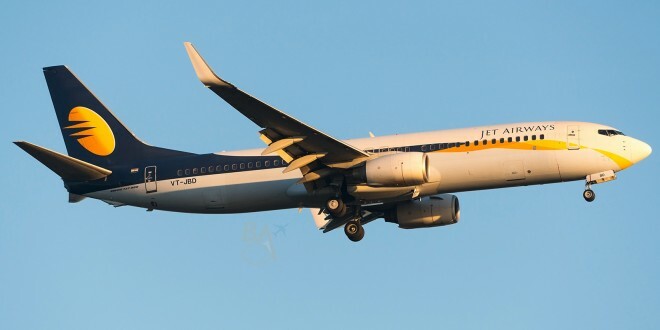 India’s largest private airline, Jet Airways, has expanded its recently introduced JetScreen domestic in-flight entertainment service via Wi-Fi streaming to 14 Boeing 737s, up from the five, when the service was introduced last month. 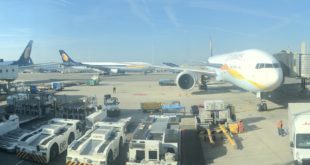 Passengers aboard these 14 aircraft can stream video and audio content directly on their personal electronic devices (PEDs) such as mobile phones, tablets and laptops. Passengers need to install the ‘Airtime Player’ app, available on all major App stores, on their Wi-Fi enabled PEDs. On-board passengers must switch their devices to ‘Airplane Mode’, enable just the Wi-Fi, and select ‘JetScreen’ as their wireless network of choice. Once connected, launching the web browser enables access to the Inflight Entertainment Portal. JetScreen also offers a 3D flight tracker for us AvGeeks. A tip for our readers. You can use flight tracking services like FlightRadar24 or FlightAware to check if a particular flight has the JetScreen service. Search by flight number and compare the aircraft registration operating the flight with the list above, or search by aircraft registration number and see if it is operating a particular flight you are interested in. Otherwise, ask the staff at the time of check-in.